Chip maker ARM has announced its processors were used in 1.2 billion mobile devices in Q4 2011. The impressive stat marks a 10% year-on-year increase for UK-based ARM and shows its dominance in the mobile and tablet markets. The figure was released along with ARM's financial report for 2011, which saw its profits sky rocket to £229.7 million for the year – up 37% on 2010. 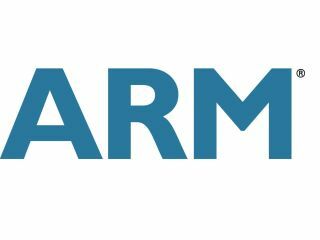 ARM will be looking to maintain its dominance in 2012, promising the arrival of "true superphones" as LTE and 4G begin to make their way round the world. Companies such as Intel are looking to crash the ARM party this year, after the American outfit launched its Atom Z2460 at CES 2012. However Intel's offering is a single core chip and with dual-core now the norm and quad-core phones on the horizon of a MWC 2012 launch, will manufactures take any notice of the Atom chip? Yes – and for one reason, power consumption. Intel has managed to tune its Atom chip to deliver extended battery life without compromising performance. This efficiency is something Intel believes its rivals can't match. One thing is for sure, we're in for an interesting battle in 2012. We are going to see super powered phones and that long-awaited extended battery life we have been waiting for.